More blackberries than I know what to do with. Again. My garden began about eight or nine years ago with a cutting from a blackberry, given to me by a guy in Berkeley. That was not only my first plant in my food garden, but it is also my first big harvest each year. It’s a well-established perennial that has produced over 50 pints in each of the past two years. 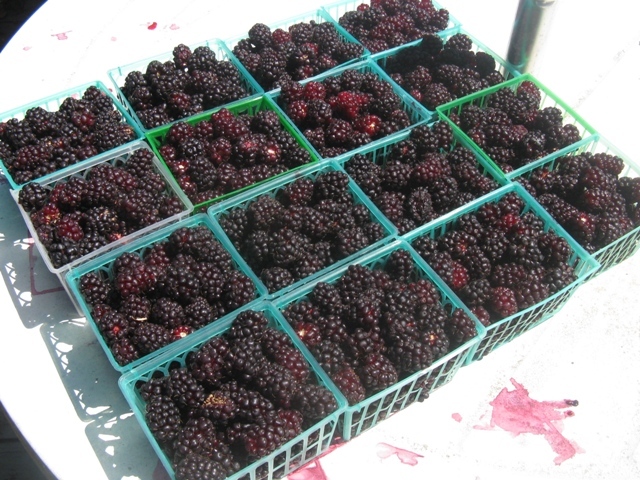 I’ve had several 10-pint days of ripe berries and one blast of a day last year at 27 pints. So, here’s the plan: Keep freezing (make some pies this year to use ’em up), keep giving them to friends and neighbors, and make a couple batches of blackberry liqueur. (See recipe: https://urbanagroecology.org/2010/01/18/revised-berry-liqueur-recipe/.) 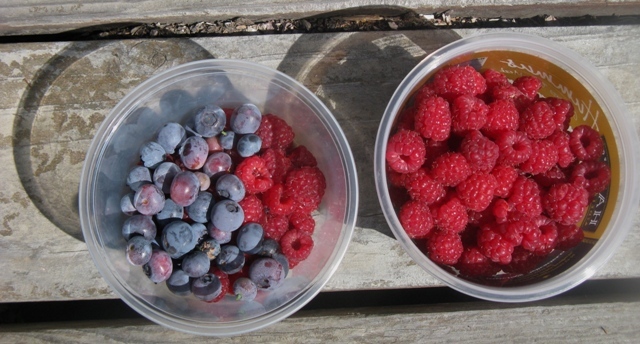 Oh, and start figuring out what to to do with the blueberries and raspberries that are starting to produce well now. Do you like blackberry jam? I love jam! But, I’m usually so busy harvesting and freezing berries that I don’t have time to learn how to make jam. I understand it’s easy, but there’s still a learning curve! You probably wouldn’t want to eat it once you see how much sugar goes into it 😉 Stirring the jam is up there in my top 10 childhood memories. Mmm I can smell it now. Yep, I’m having an issue with that. But, I’ve got two big batches of blackberry liqueur in the making, and liqueurs use huge amounts of sugar too. I think the secret is to give it all away to people who are better able to control their sweet tooth.